Originating in St Petersburg this short ballet produced by Michel Fokine celebrates its centenary on 10 February 2007. The original of what we call Les Sylphides. The premiere was in 1908 with Anna Pavlova, Tamara Karsavina and Vaslav Nijinsky and was a revelation in Imperial St Petersburg. It arguably started the whole genre of plotless ballet as we know it today. 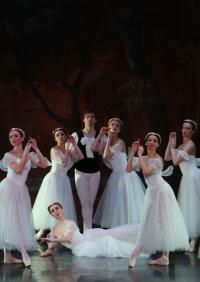 Pure and simple ballet, it is a breathtaking evocative romantic ballet blancs.